For over 20 years Die-Pat have been proud supporters of Cotton's Farmhouse, home to the Caring & Sharing Trust which is nestled in the heart of the Northamptonshire countryside and is a special and idyllic place where the solidity of the centuries old stone buildings is complemented perfectly by the beautiful surrounding grounds. But it is so much more than this... it is a place where people with learning disabilities can find friendship, acceptance and belonging, with the chance to flourish and grow as individuals in a welcoming and safe environment that is full of opportunity. For people with troubled minds and stressful lives it is a haven of calmness, compassion and relaxation and is also home to cats, dogs, geese, and lots of other teeming wildlife who share the wonderful grounds. 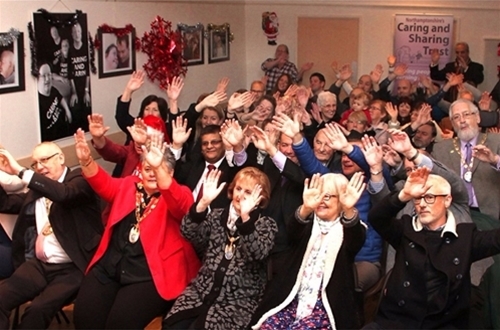 Joining in with others is not always easy for people with learning disabilities but at the Caring & Sharing Trust great emphasis is put on mutual help and respect, recognising the joys of friendship as well as the responsibilities. 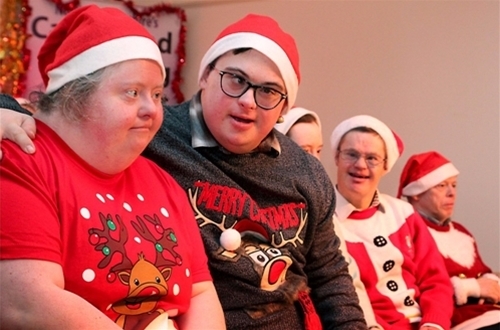 We were fortunate enough to attend one of their events - a lively Christmas Carol Concert - which highlighted how the Caring & Sharing Trust helps people with learning disabilities to lead an increasingly fulfilling and independent life within their families, homes and the community at large.